“We are delighted to announce the acquisition of SwipedOn. In July 2018 we set out with the intention of identifying acquisition targets in three categories – ‘bulking up’, broaden our functionality and providing us an entry-level SaaS offering. SwipedOn sits in two of these categories. As part of our search, we investigated several acquisition opportunities in visitor management in the UK, the US and Europe. We decided on SwipedOn as we felt it met our criteria of offering good value, had a scalable technology, a worldwide customer base, a strong team and established SaaS management processes with the potential for significant growth. This deal fits with our strategy of having a product offering at each level in the market from entry-level through to mid-market and Enterprise. SwipedOn has rapidly growing, high quality SaaS revenues with excellent retention and very low customer churn. This will help us to broaden our revenue base and will enable us to be less dependent purely on enterprise-level deals. And, with customers in over 39 countries, SwipedOn’s worldwide presence supports our ambition to be a global business. It is our intention to accelerate growth in customer numbers and to increase ARPU (Average Recurring Revenue Per User) across the SwipedOn business and we also see opportunities to upsell our mid-market and enterprise solutions to several SwipedOn customers. Importantly there is a great cultural fit between our businesses and I am delighted that Hadleigh and his team are staying with the Group and will provide us with additional experience and knowledge of creating a successful high-growth SaaS business. They have done an amazing job building SwipedOn to be one of the fastest growing SaaS businesses in New Zealand and one of the leading visitor management solutions globally. I am delighted to have them as part of our business. 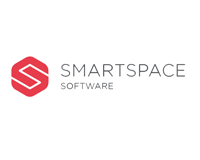 SmartSpace Software Plc (LON:SMRT), the leading provider of ‘Workspace Management Software’ for smart buildings, commercial spaces and hospitality, today announced the acquisition of the entire issued share capital of Swiped On Limited for a total consideration of £5.4 million. SwipedOn, headquartered in New Zealand, is a fast-growing SaaS business offering a visitor management solution to customers around the globe on a monthly subscription. The SwipedOn product is highly complementary to SmartSpace’s existing software offering as well as providing a launchpad for the company’s ambition to offer entry level workplace optimisation solutions. With customers across the globe SwipedOn has created an infrastructure capable of selling to and supporting clients around the world. 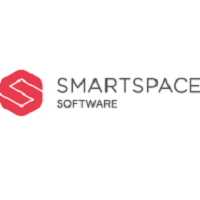 Following the disposal of the system integration and managed services division earlier this year, SmartSpace’s focus is on becoming a leading software provider in the space management market, by offering software tools that help customers optimise their corporate real estate. Strategic acquisitions to complement the organic growth opportunities from the Company’s existing suite of products are a core part of this growth strategy and this acquisition not only complements the Company’s existing meeting room, desk management, wayfinding and carparking solutions but fits well with two of the three acquisition categories – having an entry level product SaaS product offering and providing a visitor management solution. Based in New Zealand, SwipedOn provides a visitor management software solution that provides visitor registration functionality for organisations. Capable of linking multiple locations with one seamless company overview, the software is able to instantly notify employees of visitor arrivals via email and/or SMS, whilst also custom printing visitor ID badges. SwipedOn is also able to be utilised for employee movements in the office. With a number of plans available to organisations, the Company has grown rapidly over the last 12 months with customer numbers more than doubling to over 2,279 as at 11th October 2018. Annual recurring revenue has increased from NZ$846,000 in September 2017 to NZ$1.6 million in August 2018. Monthly customer churn is low at 0.7% a month and annual revenue churn is 5.77%. SwipedOn has a Customer Acquisition Cost (“CAC”) of NZ$ 609 with a Life Time Value (“LTV”) of NZ$6,700, a CAC/LTV ratio of 11. For the year ended 31 March 2018, SwipedOn had revenues of approximately NZ$1.0 million, an operating loss of approximately NZ$0.45 million and net assets of approximately NZ$0.9 million. The acquisition of SwipedOn not only broadens our SaaS revenue, but diversifies our product range to include solutions for mid-market and entry-level customers in the workplace market. This helps fulfil our ambition to be active at three levels in the market- enterprise, mid-market and entry level – as well as growing our business internationally. The acquisition of SwipedOn is directly in line with SmartSpace’s strategic focus on creating greater levels of recurring, annuity-based SaaS revenues with improved earnings visibility as an exclusive software business. The total consideration payable for SwipedOn is NZ$ 11 million (£5.4 million) of which NZ$ 8.6 million (£4.2 million) is payable in cash, funded from our own resources, and NZ$ 2,4 million (£1.2 million) is to be satisfied by the allotment and issue of 1,372,618 ordinary shares in SmartSpace to four existing shareholders of SwipedOn including Hadleigh Ford, CEO and Co-Founder, Ben Scott, Co-Founder and head of product, Matt Cooney, CTO and Paul Hansen, Head of Marketing (“Consideration Shares”). The Consideration Shares for both Hadleigh and Ben (totalling 1,331,619) will be issued subject to lock up and orderly market arrangements for 12 months. Application has been made for the Consideration Shares to be admitted to trading on AIM and it is expected that Admission will become effective on 18 October 2018. Following the issue of the Consideration Shares, there will be 22,157,413 ordinary shares in issue. The Group does not hold any ordinary shares in treasury and therefore this figure may be used by shareholders as the denominator for the calculations by which they will determine if they are required to notify their interest in, or a change to their interest in, the share capital of the Group under the Financial Conduct Authority’s Disclosure and Transparency Rules.